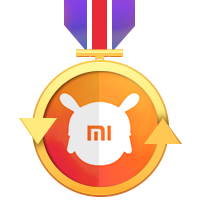 [Q&A] How many of you are facing SCREEN BURN issue in your Redmi Note 4 handset? The term actually dates back to old CRT monitors, where phosphor compounds which emit light to produce images lost their luminance with time. LCD panels can exhibit similar problems, but these are much rarer due to the way LCDs are constructed.Although not as bad or noticeable as old CRT issues, today’s OLED smartphone displays can suffer from a similar problem. That being said, it’s quite difficult and rare to notice unless you know what you’re looking for, and it usually takes a lot of screen on time before any such errors will appear. 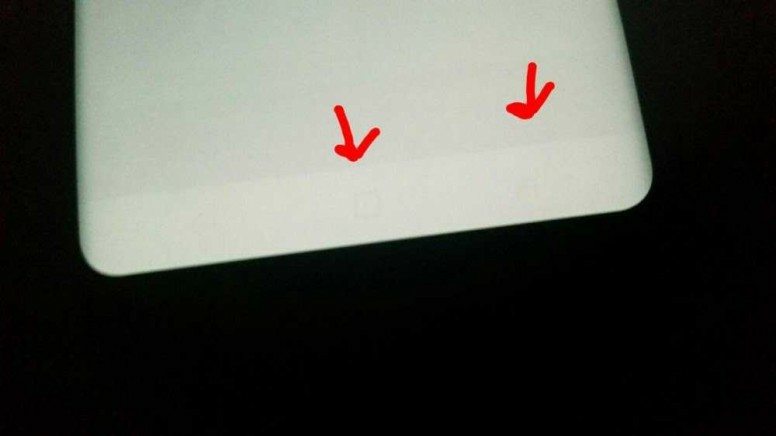 In smartphones, pattern burn in is most typically associated with the navigation buttons and the notification bar. Why does it happen?The cause of all screen burn in is the varying lifecycle of a display’s light-producing components. As these parts age, their brightness changes, and therefore the panels color reproduction gradually shifts with time. All displays experience some color shift as they age, although this can be mitigated somewhat with clever software. But with burn in, some parts of the screen age faster than others. This can gradually shift the perceivable colors of the screen in one area more than in other, leaving what looks like a ghost image behind.All displays experience some color shift as they age, but with screen burn in some parts of the screen age faster than others.With modern smartphone and smartwatch technology, screen burn in can manifest as a result of the different life spans between the red, green, and blue LED subpixels used in OLED panels. As we mentioned before, areas of the display that seldom change, such as navigation buttons or the notification bar, are the most likely areas to experience this problem.This is because these areas are more likely to consistently display one block or color, a set icon, and/or text, while the rest of the display produces a more random selection of colors from various websites, videos, apps, etc, over a long period of use. Therefore the subpixels in these areas see different amounts of use and thus age differently, eventually resulting in a slight variation in color reproduction. Switching to transparent and color changing bars back with Android’s Material Design had the added bonus of evening out the color aging process. Speaking more technically, the issue is that blue LEDs have significantly lower luminous efficiency than red or green pixels. This means that for a set sized pixel, a blue LED needs to be driven at a higher current in order to achieve the same brightness as red or green. 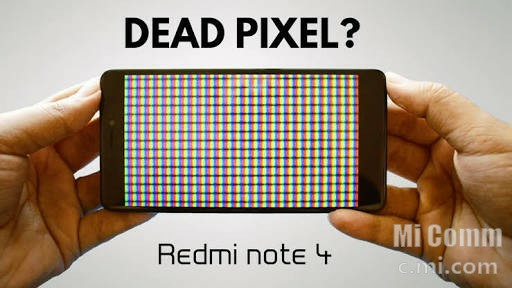 Higher current causes the pixel to degrade faster, shortening its lifespan and therefore eventually tinting the display towards the red and green colors. Therefore an OLED display’s color doesn’t degrade evenly, it will eventually lean towards a red/green tint.So, if one part of the panel spends a lot of time displaying a blue or white image, the blue pixels in this area will degrade faster than in other areas. That’s essentially what burn-in is.Can it be avoided?At this stage, manufacturers are very aware of the potential issues and have already taken a number of intelligent steps to help avoid burn in. For starters, Samsung has been using its pentile subpixel arrangement (see above) in its AMOLED displays since the Galaxy S3. By making the blue subpixel larger, it requires less current to drive in order to provide the required light. Driving the LED with lower current increases its lifespan, such that it takes longer for any noticeable color shift to occur.This doesn’t directly address the issue of different parts of the screen aging at different rates, but it does mean that it will take significantly longer to notice than with older or cheaper OLED panels.There are software solutions too. Android Wear product manufacturers can enable the OS’s “burn protection” option. This mode periodically shifts the contents of the screen by a few pixels, so that they spend more equal time displaying different colors. Smartphones equipped with Always-On display technology, such as the Galaxy S8, employ a similar tactic. Google also suggests a selection of design guidelines tailored to avoid any screen burn-in problems when designing for OLED watches. If your screen is already burnt in, there’s not a lot that can be done to undo the damage. There are apps on the Play Store that claim to reverse the problem, but these will just end up “burning” the rest of the screen to match the colors, which isn’t really ideal.If you are concerned about the issue, there are a number of preventative measures that you can take to prolong display lifetime and help to prevent the dreaded ghosting effect:Keep your display brightness low. Increased brightness requires more current and therefore shortens LED lifespans.Shorten your screen-off timer. Turning the screen off when you’re not using it will prevent static images from being displayed.Use Immersive Mode, where available. This hides the notification bar, so static icons won’t be displayed. Alternatively, pick a launcher that offers a similar feature, as well as transparent navigation bar and app drawer options.Pick a wallpaper with darker colors and change it every now and again.Use keyboards that offer darker themes to prevent color degradation in the lower half of the display.If you use a navigation app regularly for long journeys, pick one that doesn’t have a lot of bright static UI elements.That being said, screen burn in isn’t something that should concern many users if they’re looking to buy a new OLED smartphone. Modern panels have much longer lifespans than early OLED smartphones, and even then burn in was rare. Just don’t leave a static image on the screen 24/7 with the brightness set at max!The bottom line is that you should be looking at several year’s worth of work out of a modern smartphone display before any screen burn in will be noticeable. But it doesn’t hurt to be aware of what can happen to aging handsets and how to maximise their lifespan.Thanks! !Leave a comment if this article was helpful for you.Don't forget to leave a comment..
What is screen burn in?The name “burn in” is a little misleading, as there’s no actual burning or heat involved. Instead, this term is used to describe a display that’s suffering from permanent discoloration across any part of the panel. This may take the form of a text or image outline, fading of colors, or other noticeable patches or patterns on the display. The display still works as normal, but there’s a noticeable ghost image or discoloration that persists when the screen is on. To be considered as screen burn in, these artifacts have to be permanent and are a defect caused on the display hardware side, rather than a graphical glitch that may be caused by software or a problem with the display driver circuitry.The term actually dates back to old CRT monitors, where phosphor compounds which emit light to produce images lost their luminance with time. LCD panels can exhibit similar problems, but these are much rarer due to the way LCDs are constructed.Although not as bad or noticeable as old CRT issues, today’s OLED smartphone displays can suffer from a similar problem. That being said, it’s quite difficult and rare to notice unless you know what you’re looking for, and it usually takes a lot of screen on time before any such errors will appear. 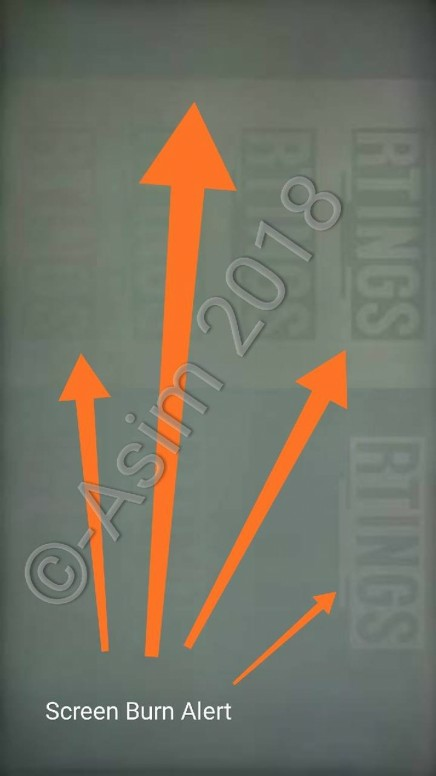 In smartphones, pattern burn in is most typically associated with the navigation buttons and the notification bar.Why does it happen?The cause of all screen burn in is the varying lifecycle of a display’s light-producing components. As these parts age, their brightness changes, and therefore the panels color reproduction gradually shifts with time. All displays experience some color shift as they age, although this can be mitigated somewhat with clever software. But with burn in, some parts of the screen age faster than others. This can gradually shift the perceivable colors of the screen in one area more than in other, leaving what looks like a ghost image behind.All displays experience some color shift as they age, but with screen burn in some parts of the screen age faster than others.With modern smartphone and smartwatch technology, screen burn in can manifest as a result of the different life spans between the red, green, and blue LED subpixels used in OLED panels. As we mentioned before, areas of the display that seldom change, such as navigation buttons or the notification bar, are the most likely areas to experience this problem.This is because these areas are more likely to consistently display one block or color, a set icon, and/or text, while the rest of the display produces a more random selection of colors from various websites, videos, apps, etc, over a long period of use. Therefore the subpixels in these areas see different amounts of use and thus age differently, eventually resulting in a slight variation in color reproduction. 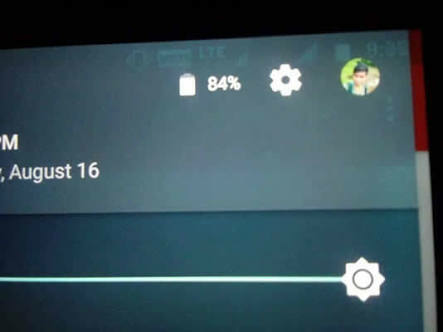 Switching to transparent and color changing bars back with Android’s Material Design had the added bonus of evening out the color aging process.OLED displays are made up of red, green, and blue LEDs, but the different colors have have different lifespans.Speaking more technically, the issue is that blue LEDs have significantly lower luminous efficiency than red or green pixels. This means that for a set sized pixel, a blue LED needs to be driven at a higher current in order to achieve the same brightness as red or green. Higher current causes the pixel to degrade faster, shortening its lifespan and therefore eventually tinting the display towards the red and green colors. Therefore an OLED display’s color doesn’t degrade evenly, it will eventually lean towards a red/green tint.So, if one part of the panel spends a lot of time displaying a blue or white image, the blue pixels in this area will degrade faster than in other areas. That’s essentially what burn-in is.Can it be avoided?At this stage, manufacturers are very aware of the potential issues and have already taken a number of intelligent steps to help avoid burn in. For starters, Samsung has been using its pentile subpixel arrangement (see above) in its AMOLED displays since the Galaxy S3. By making the blue subpixel larger, it requires less current to drive in order to provide the required light. Driving the LED with lower current increases its lifespan, such that it takes longer for any noticeable color shift to occur.This doesn’t directly address the issue of different parts of the screen aging at different rates, but it does mean that it will take significantly longer to notice than with older or cheaper OLED panels.There are software solutions too. Android Wear product manufacturers can enable the OS’s “burn protection” option. 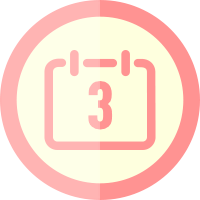 This mode periodically shifts the contents of the screen by a few pixels, so that they spend more equal time displaying different colors. Smartphones equipped with Always-On display technology, such as the Galaxy S8, employ a similar tactic. 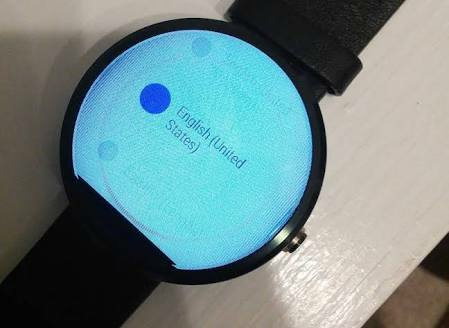 Google also suggests a selection of design guidelines tailored to avoid any screen burn-in problems when designing for OLED watches.But what can I do?If your screen is already burnt in, there’s not a lot that can be done to undo the damage. There are apps on the Play Store that claim to reverse the problem, but these will just end up “burning” the rest of the screen to match the colors, which isn’t really ideal.If you are concerned about the issue, there are a number of preventative measures that you can take to prolong display lifetime and help to prevent the dreaded ghosting effect:Keep your display brightness low. Increased brightness requires more current and therefore shortens LED lifespans.Shorten your screen-off timer. Turning the screen off when you’re not using it will prevent static images from being displayed.Use Immersive Mode, where available. This hides the notification bar, so static icons won’t be displayed. Alternatively, pick a launcher that offers a similar feature, as well as transparent navigation bar and app drawer options.Pick a wallpaper with darker colors and change it every now and again.Use keyboards that offer darker themes to prevent color degradation in the lower half of the display.If you use a navigation app regularly for long journeys, pick one that doesn’t have a lot of bright static UI elements.That being said, screen burn in isn’t something that should concern many users if they’re looking to buy a new OLED smartphone. Modern panels have much longer lifespans than early OLED smartphones, and even then burn in was rare. 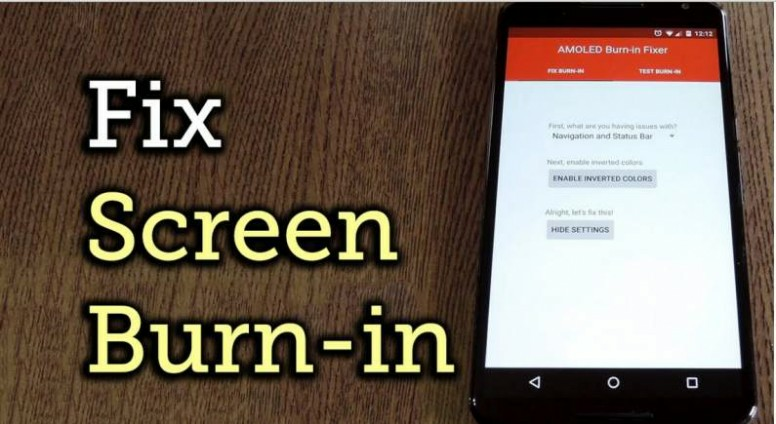 Just don’t leave a static image on the screen 24/7 with the brightness set at max!The bottom line is that you should be looking at several year’s worth of work out of a modern smartphone display before any screen burn in will be noticeable. But it doesn’t hurt to be aware of what can happen to aging handsets and how to maximise their lifespan.Thanks! !Leave a comment if this article was helpful for you.Don't forget to leave a comment..